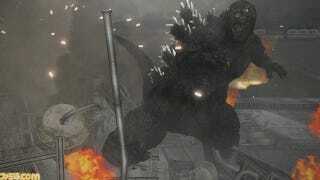 In case anyone didn't already know, Japan is getting Godzilla VS for PS4 this summer. Godzilla VS includes Space Godzilla, online multiplayer, special missions, and the ability to play as any monster in the game. So what does this all mean? The PS4 version in the West is Godzilla VS while the PS3 version will be the outdated version that Japan received last year for the PS3.